I had a super-fun experience last week … making banana playdough for the first time and watching my granddaughter’s first experience with playdough! 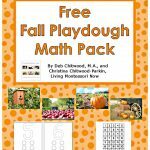 Thanks to Asia Citro and her FABULOUS new book, 150+ Screen-Free Activities for Kids, I’m a convert to playdough making. 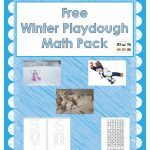 Back when I was a Montessori preschool teacher in the 1970s and school owner/teacher in the 1980s, I purchased playdough and other art and craft materials for my classroom. 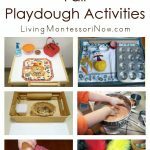 It’s exciting to see that many moms today are making their own playdough and craft materials. 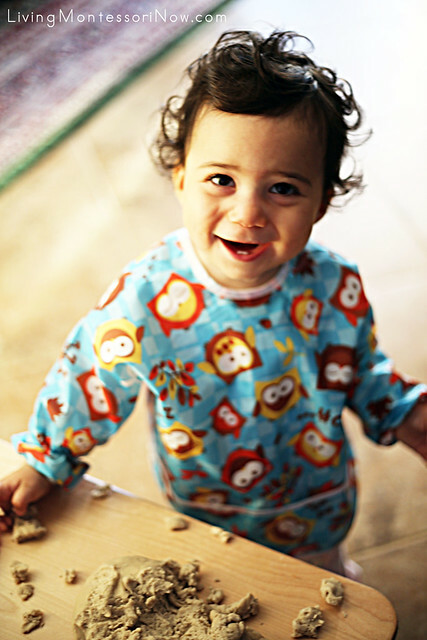 As the first-time grandma of a just-turned one year old, I was ready to try making my own playdoughs and paints. 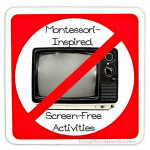 Disclosure: I was given a copy of 150+ Screen-Free Activities for Kids to review. My review is honest and my own. This post also contains affiliate links (at no cost to you). Asia Citro is the queen of concoctions and has written the perfect book for anyone wanting to become comfortable making his or her own doughs, paints, and slimes. 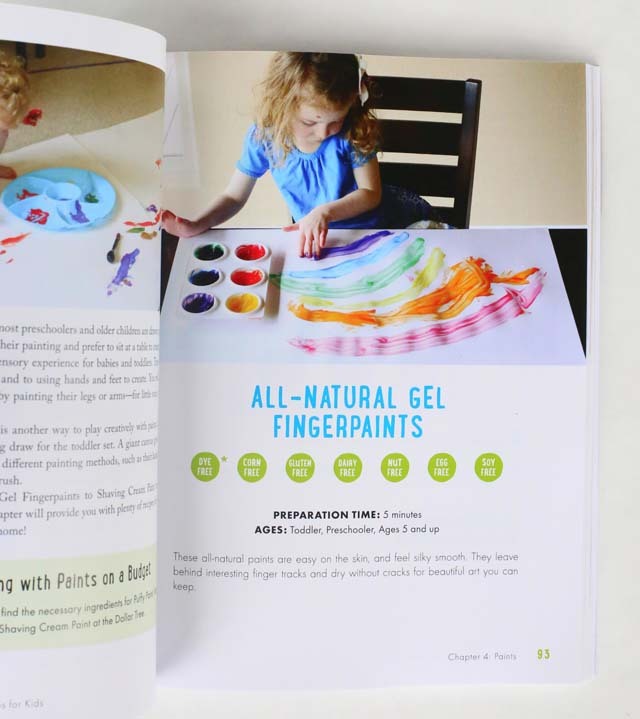 And that’s not all … she also has chapters for small worlds, simple sensory activities, and DIY toys. I’ve always loved Asia’s Fun at Home with Kids blog with Asia’s creative recipes and activities and amazing photos of her kids. 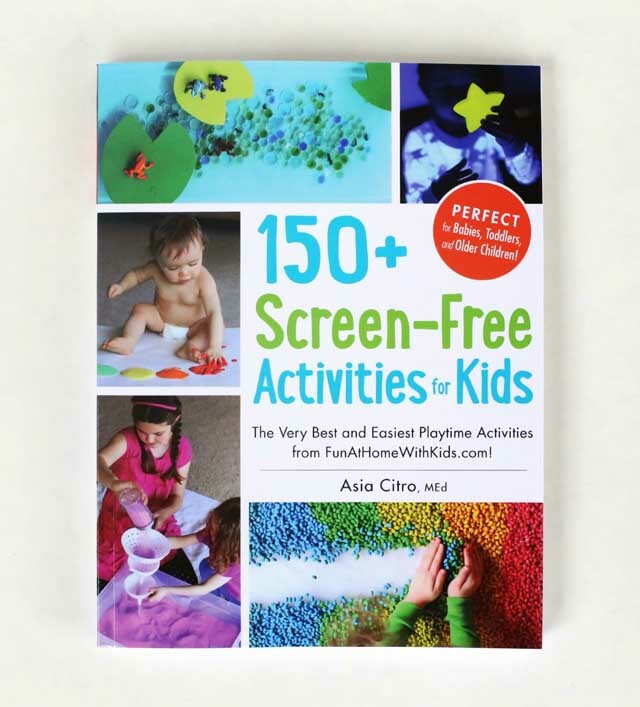 So I was excited to review Asia’s new book 150+ Screen-Free Activities for Kids. When it arrived, I was even more amazed at the perfection of the book. The photos are absolutely captivating. It’s a joy just to page through the book. But the best part for me (other than all the awesome recipes and activities) is the organization. 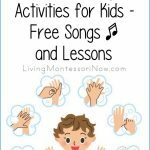 What busy teacher, mom, or grandma has enough time to sort through activities? 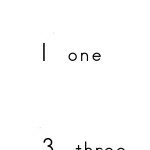 Asia’s book is perfectly organized from the table of contents to the individual pages to the index at the back. I especically appreciate that the recipes give information about allergies, preparation time, and ages, as you can see in the image above. 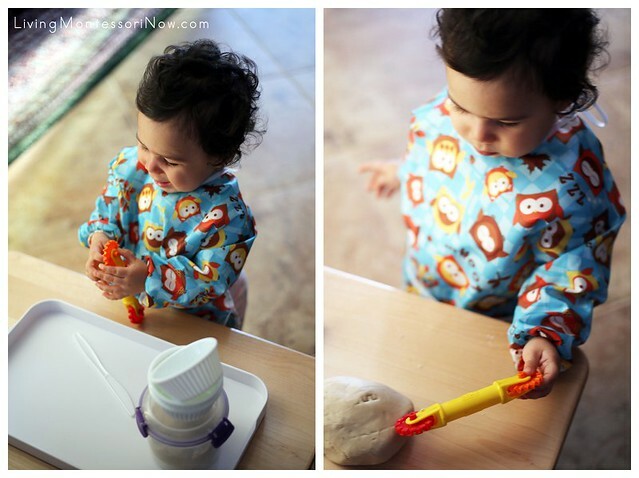 A First Playdough Experience with Banana Playdough … Safe for Babies and Toddlers! With the book’s organization, it didn’t take me long to find a banana playdough recipe to experiment with for my granddaughter, Zoey’s, first playdough experience. The recipe required only 5 ingredients, and they are found in most homes. I like to bake gluten free, so I simply used gluten-free flour for the flour part. I like that the playdough didn’t use any salt and didn’t require food coloring (although Asia gives ideas for taste-safe colored banana playdough if you prefer). 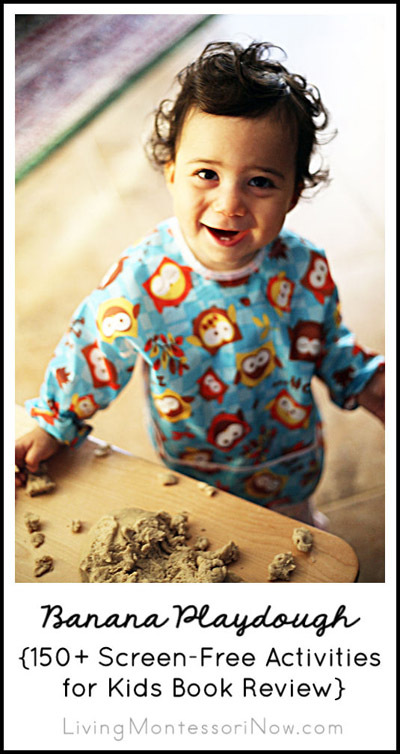 I ended up with taste-safe and gluten-free playdough that took me very little time to prepare. The recipe didn’t even require cooking. I can’t imagine having difficulty preparing the recipe. Still, Asia gave troubleshooting tips in case it’s too dry. I intentionally made the playdough a bit on the dry side for the first day so that it would have a consistency more like traditional playdough. For the second day, I added a little water and made it even softer than the first day. The playdough really wasn’t even messy. I had Zoey wear a sleeved bib like I typically do for messy activities, but there wasn’t any mess other than playdough pieces for us to clean up at the end. Even though it’s taste safe, I wanted my granddaughter to identify the recipe as playdough rather than as food. With bananas as an ingredient, it does smell yummy. The banana playdough doesn’t taste like food, though, so Zoey was content with tasting it but not eating it. 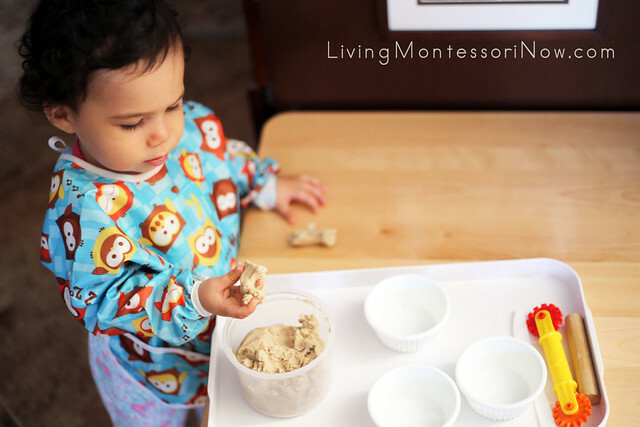 I like to use Montessori-inspired activity trays whenever possible, so I placed the playdough on one of my large trays from Montessori Services. I just added some simple containers, plastic knife for a safe introduction to using a knife, and playdough tool that I think was from an early edition Play-Doh Fun Factory (it’s one my now-adult kids had). Zoey was especially intrigued with the playdough tool. 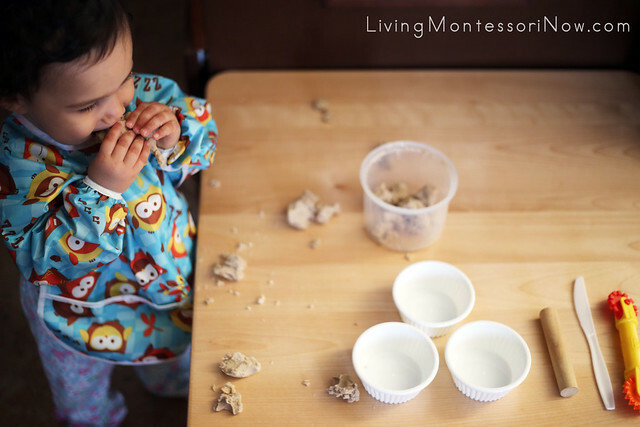 Zoey also enjoyed tearing off bits of playdough and then putting them in a container … a simple but fun activity for young toddlers. A fun experience for both of us! I look forward to trying many more recipes in Asia’s book as Zoey grows and develops new skills.